I undergo a traditional ritual every time I leave Nauvoo. It is a walk from the blacksmith shop down the “trail of tears” to the Mississippi River. I walk slowly, looking frequently behind me to the lovely city and the temple reigning above it and let the land speak. 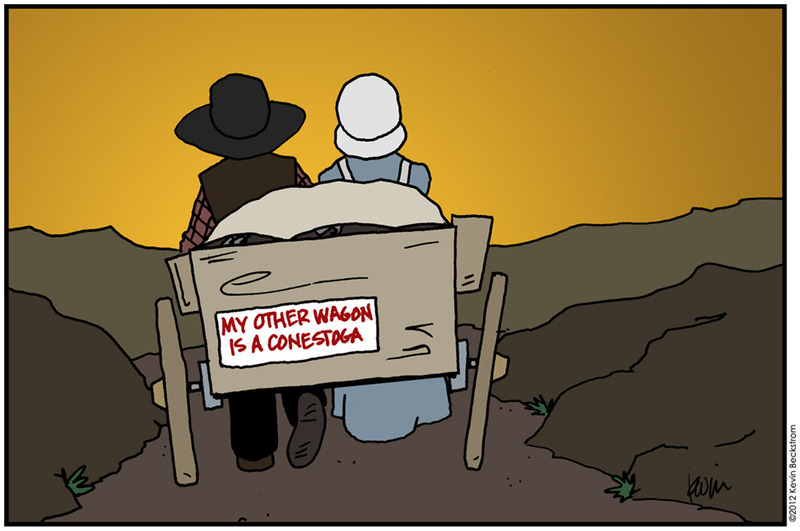 What fears and regrets, hopes and anticipations passed down the road to the river in wagon after wagon? A chorus of emotion still echoes through the dust and around the once abandoned buildings. There was no “Come, Come, Ye Saints” to cheer and strengthen in those early months. I have a journal account of the day by day progress across the plains written by an ancestor. Her entries tersely record what was on the minds of so many as they struggled across the plains towards that final descent into the Salt Lake Valley. They passed the landmarks that are so familiar to us, but not to them, for the great Westward migrations of the 1800’s were just beginning. The Platte, the Sweetwater, Independence Rock, Devil’s Gate, South Pass, Big Mountain—the names continue on and on as long and tiring as the plodding march of oxen and the singing creak of the wheels. Still, the tiny mounds of soil or piles of rocks weighed in their minds more forcefully than mountain ranges or river fords.